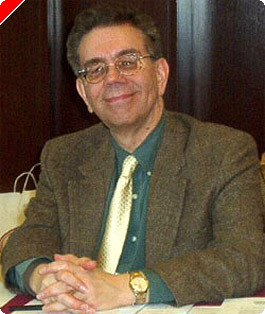 This article originally appeared on Pokernews.com, November 27, 2006. 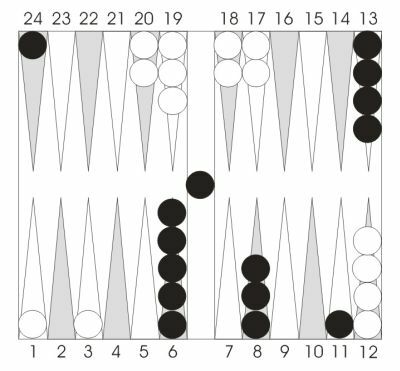 Many backgammon problems boil down to a simple question: hit, or don't hit. In essence, backgammon is a pretty simple game. In general, you want to make points, and in general, you want to hit. You're hitting on a key blocking or priming point, which you very much need to make. Your opponent has so many threats that a tempo play is necessary; that is, you're hitting to prevent your opponent from attacking with his entire roll. Keep these ideas in mind as you evaluate Black's choices in the following problem. This problem is best solved by a process of elimination. Black will enter with his three, Bar/22, and choose among four fives, none of which stands out as an excellent play. Try discarding the obviously worst choices first until you've narrowed the field, then see which looks most appealing between the survivors. 6/1*. Hitting loose on the ace-point in the early game is a tantalizing play. It often looks necessary, it's almost always wrong, but on the occasions when it's correct, it's usually correct by a lot. The hit is a tempo play (designed to take away half of the opponent's roll), but to be correct, the need for a tempo play must be huge. That means that your opponent needs plenty of builders ready to pounce, and you absolutely must put him on the bar. Here the play is wrong because White doesn't have enough serious threats. True, White has some pointing numbers. But to make his 3-point, he'll have to break his 7-point or 8-point. He'll do that if he can, but it's not a threat you need to guard against because of the broken points and the return shots. Meanwhile, 6/1* just dumps a checker out of play and risks losing plenty of ground in the race. 8/3*. The same idea as 6/1*, but even worse. Black strips the important spare off the 8-point, while leaving almost twice as many shots as 6/1*. 11/6. Better than the first two choices by a lot, but look at that hideous stack on the 6-point. In the absence of crushing threats, the idea in the early game is to unwind stacks, not make them worse. 13/8. Doesn't do anything great, but doesn't damage the position either. Here it's the winner by default, as the other choices are all ruinous. In Position 15-1, White's threats weren't all that serious, so a quiet play made sense. If White had a more dangerous collection of builders, 6/1* might have become the best play. Next time: More About Hitting.